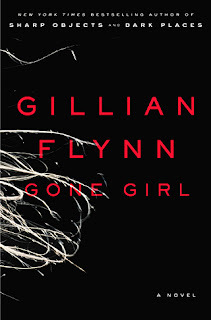 Gone Girl seems to be a hot read this summer, as I've seen it all over the place. It's a thriller with the unusual twist that you actually know whodunnit almost from the beginning. Nick Dunne comes home on his fifth wedding anniversary to find his wife Amy missing and their house in disarray. The cops quickly turn their attention to Nick as the prime suspect. After all, in cases like these, how often is the criminal NOT the husband? Told in alternating viewpoints between Nick and Amy, the reader immediately knows that Amy is still safe -- somewhere. But where she is is a much deeper story. Over the course of the book, we learn about Nick and Amy's idyllic marriage that has somehow derailed into a terrifying game of manipulation. Why has Amy gone missing? And what punishment awaits Nick? I had high hopes for this book. A thriller that isn't your typical thriller? A twist that you know up front, but that could still lead in any number of directions? Sounds good to me. But, I finished the book feeling disappointed. The book is divided into three parts (really more like 2.5, the last part is a quick conclusion). The first part dragged for me. I'll admit, it served to throw me off the trail because it lead me away from what I thought was happening. And it did set up the rest of the story so it was a valuable part, but could have been shortened in favor of digging into the real suspense. The second and third parts lived up to the hype, but I felt like there could have been even more thrills and twists. These parts flew very quickly, without the oh so good "slow burn" before uncovering the truth. And the end? Well, I'm still not sure how I feel about the end. I have the same complaint -- it just ended. Not an inordinate amount of suspense, and thus not a gratifying conclusion. One of the final lines is: "We (Nick & Amy) are one long frightening climax." And I suppose that's true for the book. It's all about the climax, but it's a climax that could certainly have a bit more excitement injected into it. However, the premise alone makes the book worth a read. 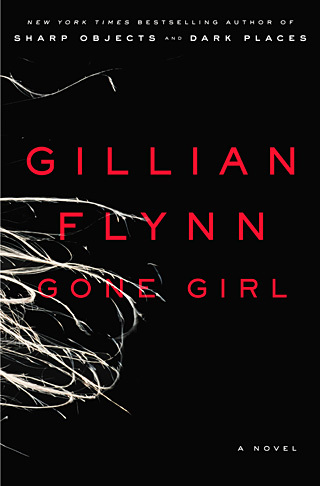 It's hard to find a thriller with a plot that breaks the mold, and I think this one fits that bill. I had the same reaction. I really thought I'd like this book, but, in fact, I had trouble getting all the way through it. Very disappointing. know this: If Kitchen faucet is not resolved, you can choose a regular point of the brand. General formal goods are manufacturers of brand identity, and some Antique brass faucet product or some quality time products are often pasted some paper labels only, even without any markings, be sure to pay attention to when buying Bathroom mirror.